Each August, in collaboration with Academic Human Resources, we host an orientation for administrators who are new to their roles or new to the university. 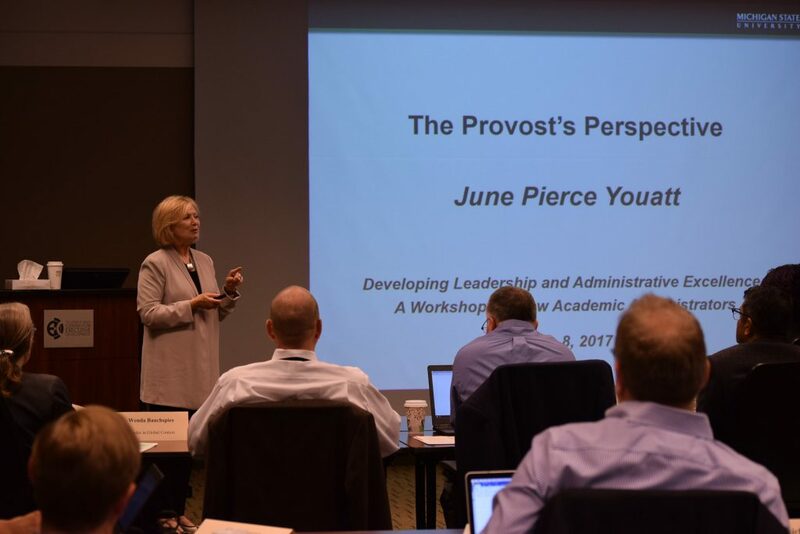 Over the course of several days, new administrators are given an overview of Michigan State University and many of the offices and units that combine to further the university’s mission. As a new administrator, you will receive a formal invitation to this event, which is required in the first two years of your appointment, and most helpful in your first. In addition, we run a series of events for academic leaders throughout the academic year. For more opportunities and programs, explore our Leadership Development page.